This medal was instituted on July 15, 1860. 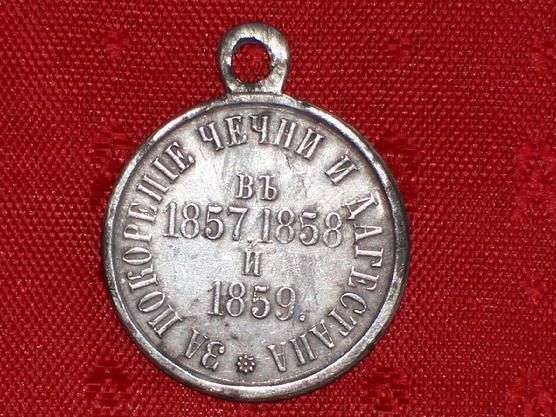 This silver medal was awarded to all generals, officers and men of the Imperial Army and militia who in the years 1857-1859 took active part in military action and expeditions against the mountaineers in Chechenya and Daghestan. 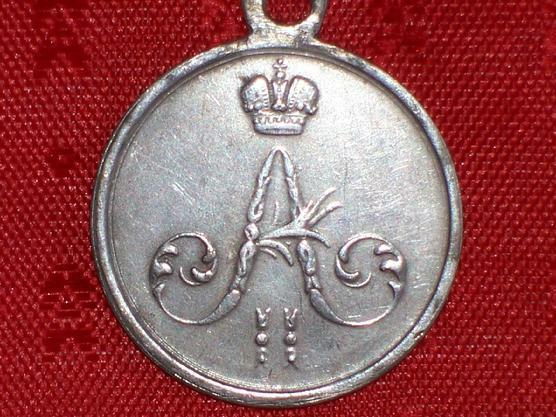 Obverse has the monogram of Alexander II topped by Imperial Crown. Reverse has in the center the dates 1857-58-59. Around the circumference is the Inscription, FOR THE SUBJUGATION OF THE CHECHEN and DAGHESTAN.